In the midst of all the things that can happen, it seemed like this past week that satan was putting me to the test. From emergencies to hospital trips to health issues for people to car issues, it seemed like it was constant. It is that last area that I want to share about today. 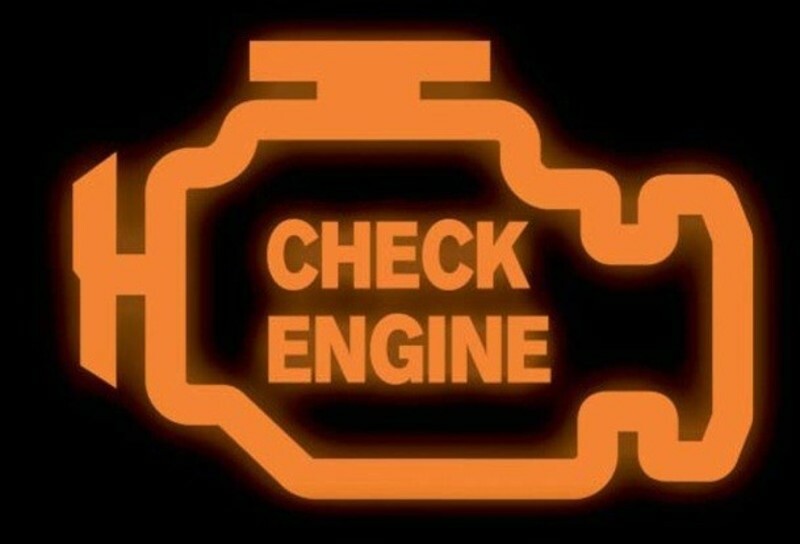 When I was in Amarillo last Friday morning, I started my car and the check engine light came on. It’s not the first time that it has happened, but I knew that Vicki was going to be taking it to Norman that afternoon. I just wanted to have the peace of mind that everything was fine. After I got back to town I went to have the guys at CarQuest tell me why the light came on. I knew the code from the last time and wanted to make sure that it was the same code. It was and so when they cleared it out, I just breathed a little easier. Vicki drove it to Norman and back without the check engine light ever coming on. She says it’s my fault. But that check engine light makes me stop and think. Whenever it comes on you worry about what is going on with the car. You think that the car seems to be running fine, but how long will it be before something happens. The light is there to make the driver aware that there is something not normal and it needs to be checked out. I believe that there is a ‘light’ in the lives of Christians as well. No, it doesn’t necessarily come on and stay on until you stop to check things out. But I do believe it comes on so that we are aware that there is a problem that we need to take a look at and get fixed. Many times when that ‘light’ comes on we start looking for some big thing that needs to be addressed. We do a quick study of what Scripture has to say. We pray and ask Holy Spirit to make us fully aware of what that ‘light’ is about. Our desire is to find the answer to our problem and why the ‘light’ came on in the first place. Sometimes we start getting more involved at the church. It may be singing in the choir, visitation or some other ministry that will hopefully make that ‘light’ go off. Often we believe that the problem stems from the fact that we haven’t been working as we should. But the reality is that we have a problem as old as the garden and it is called sin. Oh, we might not classify it as something that will keep our lives from ‘running’ as it should, but it is sin. It can, and will, stand between God and His will for our lives. When that takes place, the ‘light’ comes on and lets us know we are not operating as we should. Jesus is simply saying that when the ‘light’ comes on in our life we start looking for a problem in someone else’s life. After a time it just easier to place the problems we have on the actions of others. We must understand the sin is going to cause the ‘light’ to come on in our lives. Yet if we confess that sin, God will shine His LIGHT on us and set things right. Seems to me we only have two choices – ignore the ‘light’ and go until sin brings us down or let the LIGHT of God’s love shine on us lifting us out of our sin. I believe His LIGHT would be better. His LIGHT is on to show us the way.